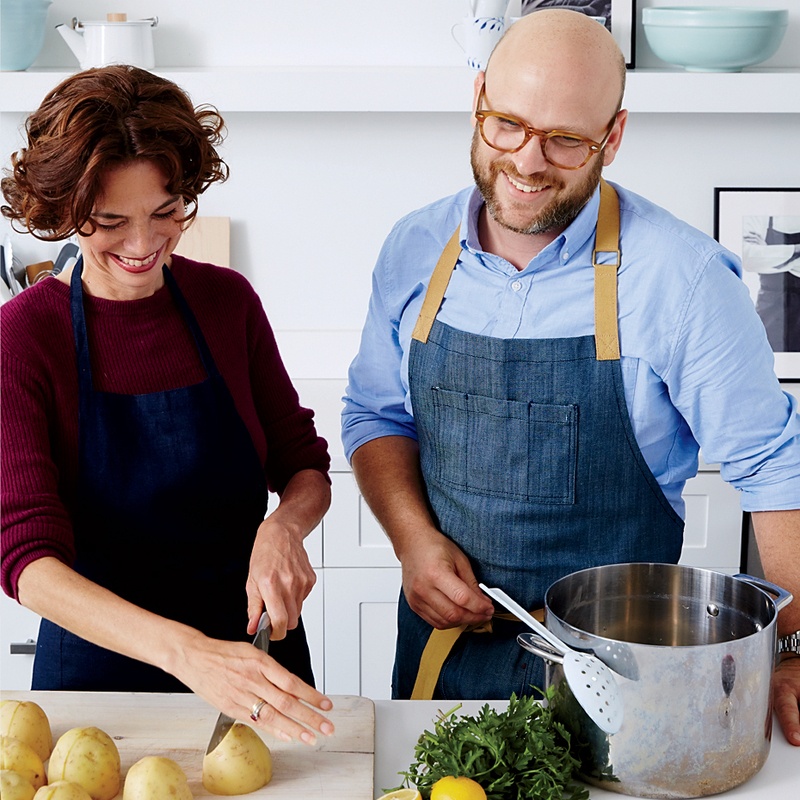 Inspired by her book, Mastering My Mistakes in the Kitchen, F&W editor in chief Dana Cowin makes a meal with guidance from a chef. 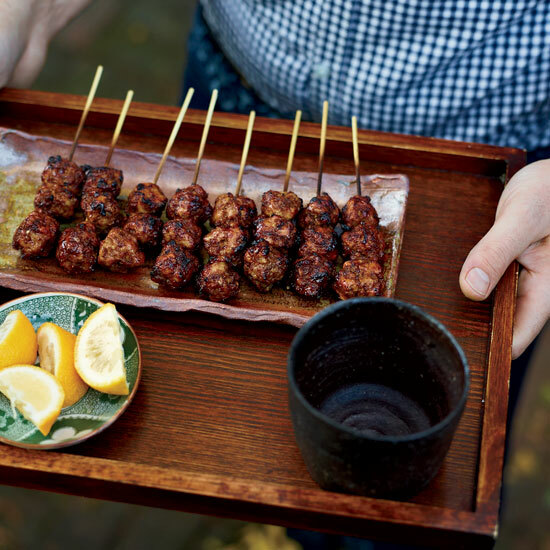 This month’s tutor: Daniel Holzman of New York City’s Meatball Shop. 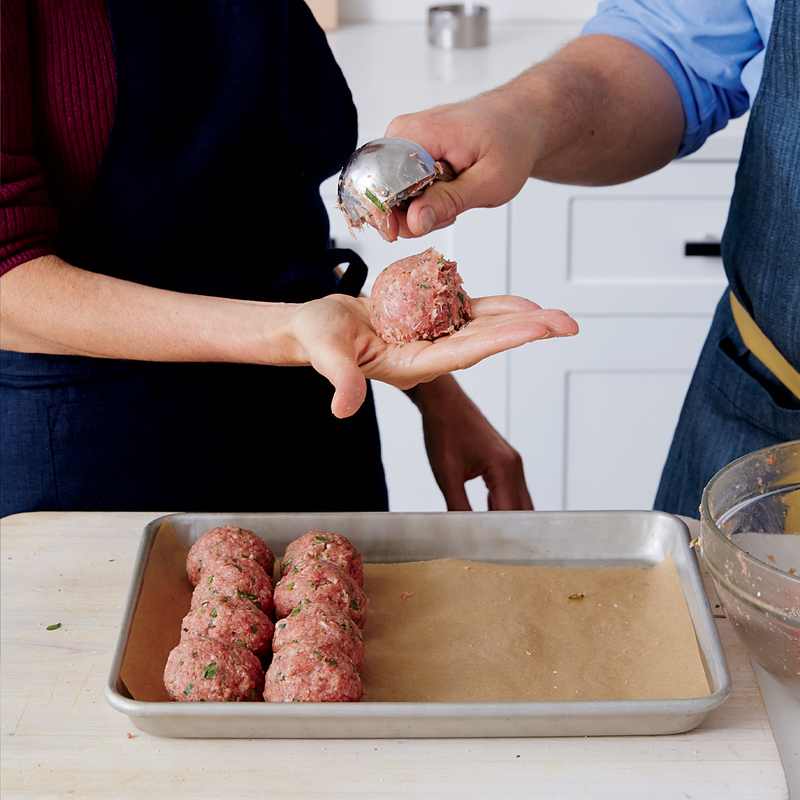 DON'T: I was way too gentle when mixing my meatballs. Says Dan, "I knead the meat like it’s bread." He adds jokingly, "I use a tiger-claw technique I saw in Kill Bill." DO: Dan is maniacal about consistency. He measures the meat mixture with an ice cream scoop so the balls are all the same size, then rolls them out with his hands. 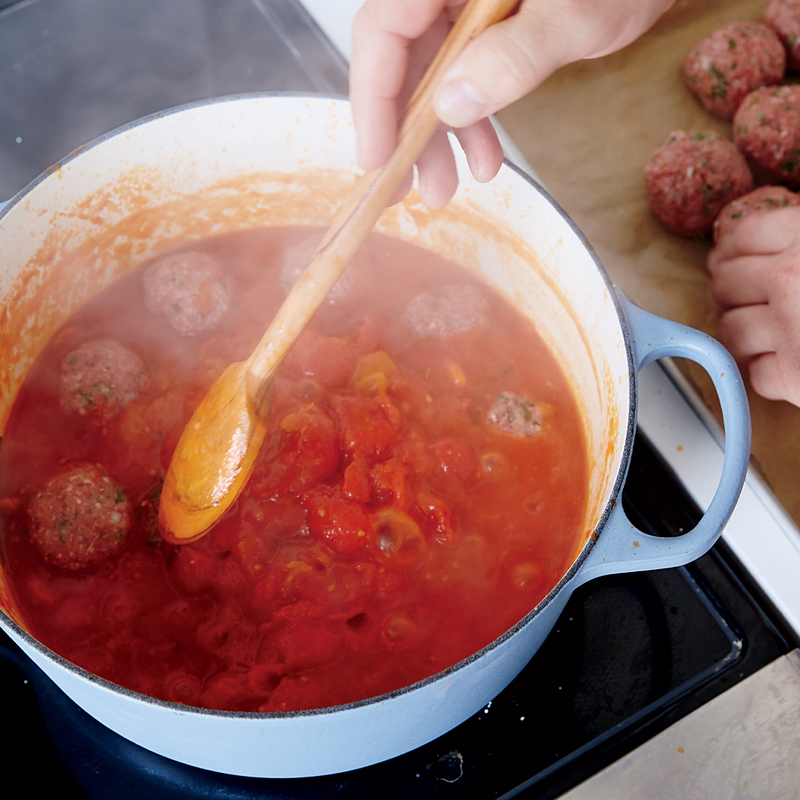 DO: Simmer the meatballs in the tomato sauce without searing them first. Dan says, “Searing creates a lot of flavor, but you lose a certain subtlety. DON'T: When boiling potatoes, I often end up slightly undercooking them, which makes them impossible to crush—the outsides are mushy, the insides raw. 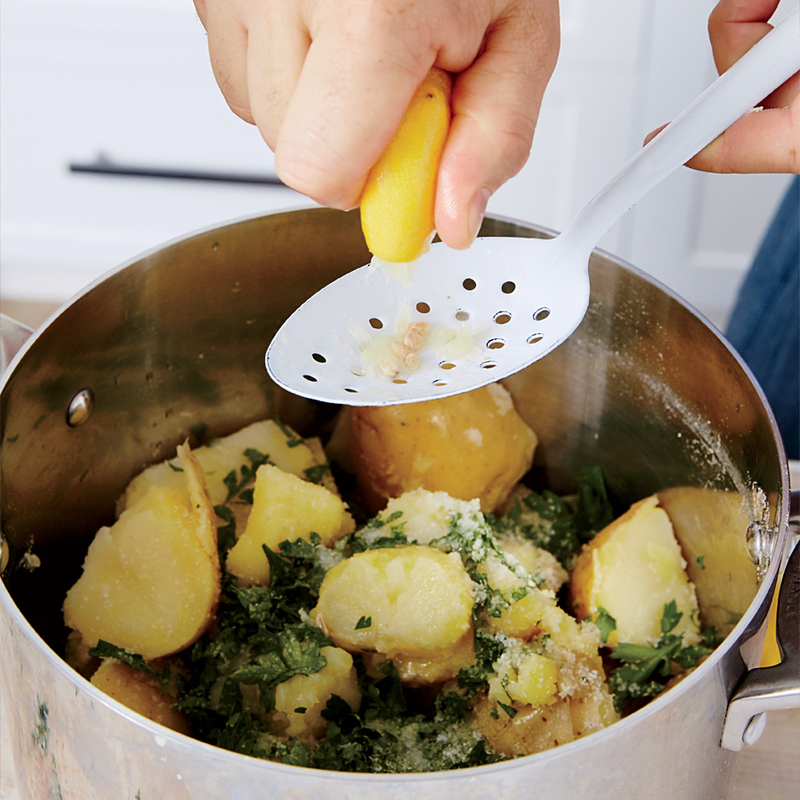 Dan’s no-brainer fix is cutting the potatoes into quarters, which helps them cook through. DO: Dan squeezes lemon over a perforated spoon so he doesn’t have to pick the seeds out of the potatoes like I do! DO: It never occurred to me to serve potatoes with meatballs. But Dan loves the way crushed Yukon Golds sop up his chunky tomato sauce. I will never make another meatball without Dan’s combination of pork (for richness), veal (for tenderness) and beef (for flavor). 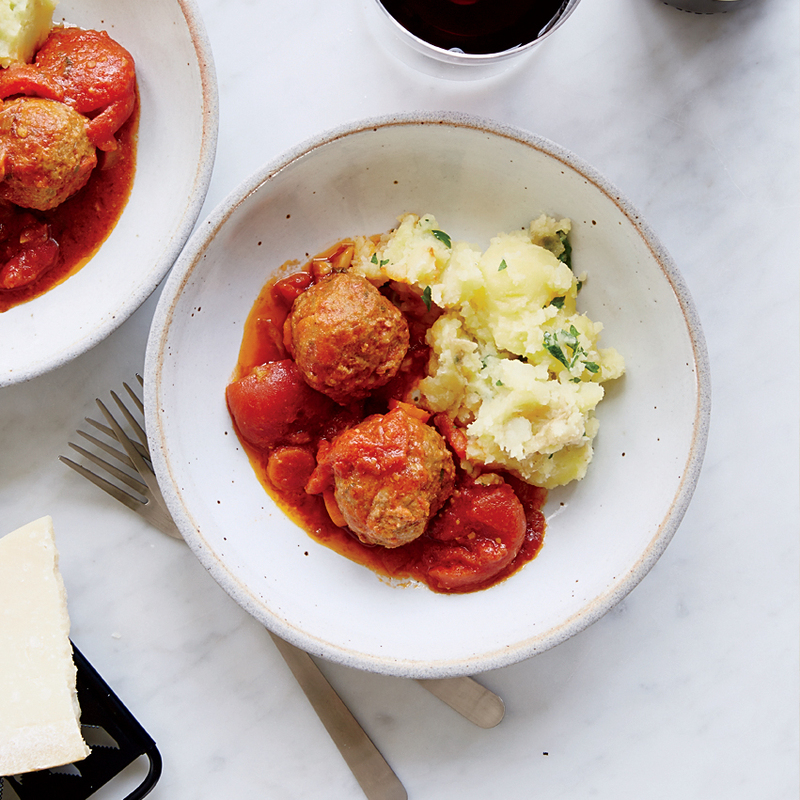 After I confessed that my meatballs tend to be dry, Dan revealed the magic ratio: For every pound of meat, use a half cup of breadcrumbs, one egg and one teaspoon of salt.